19 September is Women's Suffrage Day, celebrating the day on which, in 1893, New Zealand women were granted the right to vote. Find out more about the life and work of Christchurch suffragette, Kate Sheppard. Offering a riveting closeup of a specialised group of U.S. Army personnel in World War II, Sons and Soldiers brings to life the stories of German Jews who escaped the Nazi regime in the 1930s and subsequently made significant contributions to the Allied victory. Called the "Camp Ritchie Boys" from the camp where they were trained as interrogators, they were deployed in Europe with major combat units from D-Day on. Featuring six of the men, historian Bruce Henderson chronicles the Ritchie Boys' service. World War II buffs and readers interested in Jewish history shouldn't miss this inspiring account. Visions of Empire offers new insights into the interactions between rulers and ruled, revealing how empire was as much a shared enterprise as a clash of oppositional interests. It explores how these empires differed from nation-states, particularly in how the ruling peoples of empires were forced to downplay or suppress their own national or ethnic identities in the interests of the long-term preservation of their rule. Beginning in November 2012, an arson spree terrorised a rural county in Virginia for six months. In American Fire, journalist Monica Hesse traces the fiery trail of Charlie Smith and Tonya Bundick, who torched unoccupied buildings near where they lived in economically depressed but tightly knit Accomack County. Like Clyde Barrow and Bonnie Parker, the deadly pair were romantically entwined; their motives remained elusive until after their capture. True crime aficionados and those interested in the economic fates of rural communities will want to pick up this compelling story. Chronicles the 1989 fall of the Berlin Wall through the lens of the divided city's underground punk culture, arguing that the raw urban vibe of the early 1990s shapes the new Berlin and is still evident in the city today. A unique, in-depth view of Victorian London during the record-breaking summer of 1858, when residents both famous and now-forgotten endured "The Great Stink" together. While 1858 in London may have been noteworthy for its broiling summer months and the related stench of the sewage-filled Thames River, the year is otherwise little remembered. And yet, historian Rosemary Ashton reveals in this compelling microhistory, 1858 was marked by significant, if unrecognised, turning points. For ordinary people, and also for the rich, famous, and powerful, the months from May to August turned out to be a summer of consequence. Ashton mines Victorian letters and gossip, diaries, court records, newspapers, and other contemporary sources to uncover historically crucial moments in the lives of three protagonists-Charles Dickens, Charles Darwin, and Benjamin Disraeli. Lady Carnarvon's love of history is richly rewarded at Highclere Castle with its mine of family records going back some 300 years. She has delved into the archives to create a book that invites you inside the Castle, past and present. Throughout the centuries, Highclere has welcomed Royalty, Statesmen, Egyptologists and pioneers of technology along with men and women from the worlds of music, art and letters. The etiquette of the invitation, the balance of guests at a weekend house party, their 'placement' at dinners, and the entertainment of friends, as well as the domestic management required to execute the perfect occasion, have all preoccupied successive generations of chatelaines. This book tells the story four real life weekends from 1866 to 1936 when the great and the good gathered at Highclere to change the world in some large or small part. It then reflects on how the current Countess entertains 'At Home' at Highclere today. 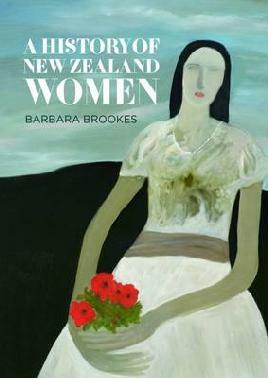 A comprehensive history of New Zealand seen through a female lens. Brookes argues that while European men erected the political scaffolding to create a small nation, women created the infrastructure necessary for colonial society to succeed. Concepts of home, marriage and family brought by settler women, and integral to the developing state, transformed the lives of Māori women. The small scale of New Zealand society facilitated rapid change so that, by the twenty-first century, women are no longer defined by family contexts. Barbara Brookes traces the factors that drove that change. While many accounts of Nazi concentration camps have focused on particular prisons or their devastating human consequences, historian Nicolaus Wachsmann is the first to analyse the entire system of labour camps and extermination centres. This gripping, revelatory study, which won multiple awards for history writing, draws on massive collections of documents, some of which have only become available over the past 25 years. KL doesn't just detail Nazi Germany's methodology of slave labour and genocide: it reveals how it was integral to the Third Reich's economic and political system. For additional insight into the politics behind the concentration camps, try Timothy Snyder's Black Earth.